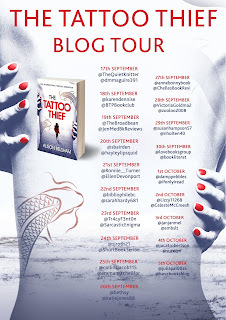 Today is my turn on the blog tour for The Tattoo Thief by Alison Belsham, all stops on the tour are different so please check out the others. A serial killer with a difference, the killer literally takes the skin from the victims, more precisely the tattoo'd area, no mean feat in itself. Marni Mullins is a tattoo artist, separated from her husband and a great distrust of the police. Marni finds herself dragged into the investigation, shoulder to shoulder with the very professionals she distrusts trying to find the how and why to the killer. Can they work together before the killer strikes again and kills another? The book opens with the killer and a bit of a horrible scene, we are left in no doubt what his intentions are and the horror to follow. The chapters then flip between the characters, Marnie, the main police officers Rory and Francis and intermittently from the killer (always written in italics). Some of the scenes are brutal and graphic in nature, it is a bit of a fresh take on a killer and the reasoning for the killings. The personal aspect with Marnie and her ex, the police dynamics especially Francis trying to establish his place in the team lead on their big case. It is a very mixed bag, lots to keep you turning page after page. Another thing of note, I learned a few things about tattoos along the way which was a wee added bonus and found myself googling a couple of things. 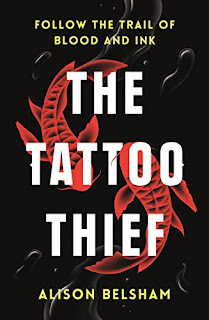 This is Belsham's first crime novel and I hope it won't be the last. 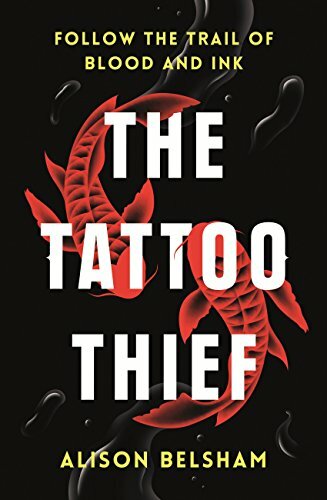 I would like to see where the characters go next, what is in store and the author taking her writing to the next level. 3.5/5 for me this time, I look forward to seeing what she offers next, certainly a fresh injection on the crime scene. Oh wow, it does sound brutal. Serial killers scare me so much, but I have read a few with them in the storyline. Glad you enjoyed this one and want to read more from this author. Thanks for the competition. I found out about this giveaway through PrizeFinder competition site.